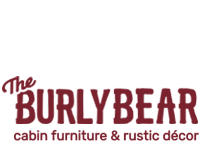 The Burly Bear store is located in the White Mountains of Arizona in the city of Pinetop. The store is approximately 160 miles northeast of Phoenix, Arizona on Highway 260. We have provided pictures of our store on the home page of this website. We invite you to visit our store if you are ever in the White Mountains of Arizona. Take Highway 87 from Phoenix to Payson where you can connect to Highway 260 through Showlow. Pinetop is approximately 15 miles south of Showlow, Arizona. You can also reach Pinetop by exiting off Interstate 40 at Holbrook, Arizona onto Highway 77. Pinetop is approximately 60 miles south of Holbrook, also connecting through Showlow.